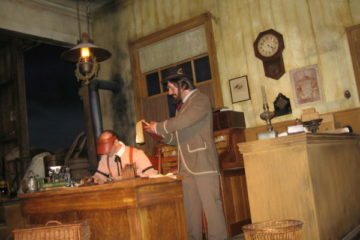 There are nearly 50 moving rides in Disney World plus dozens more galleries, animal exhibits, and shows. 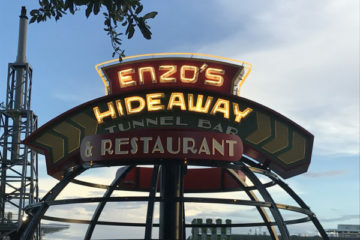 When you consider that there are 200 restaurants including both table and counter-service, and more than two dozen resorts on property spanning 40 square miles, it should come as no surprise that it’s nearly impossible to see and do everything Disney World has to offer. Today we’re going to take a look at a group of friends who attempted to ride every single moving ride in Disney World in one day to raise money for Give Kids the World. There have been many attempts at such a feat, and the time to beat is currently set at 16 hours and 17 minutes, according to the writer, and there have been many who attempted and failed. While these friends managed to ride 41 of 48 rides operating that day, they were far from failures. In fact, they shared some lessons that we can all learn from, and they managed to raise more than $10,000 for Give Kids the World. Before we get started, let’s take a look at their ground rules. They had no special access of any kind from tours, guides, Cast Members, transportation, FastPass, etc. They were armed only with regular park admission and their smart phones. As a caveat, I’m certainly not suggesting that this is something that you should attempt. The goal of this article is to show you how you can maximize your time in Disney World, not to exhaust your family and cause near nuclear meltdowns in the process. Let’s see what we can learn from their crazy day at Disney World! If you want to get the most time possible in Disney World, you need to spend as much time in the parks as possible. You need to visit on a day when there are the least number of people as possible. Disney World is hardly ever not busy these days, but there are some better times than others. Disney sorts their days by Value, Regular, and Peak. Peak days can offer up to 18 hours of open park time and sometimes even more. However, these are also the most crowded days. Instead, consider visiting during Regular or even Value days. 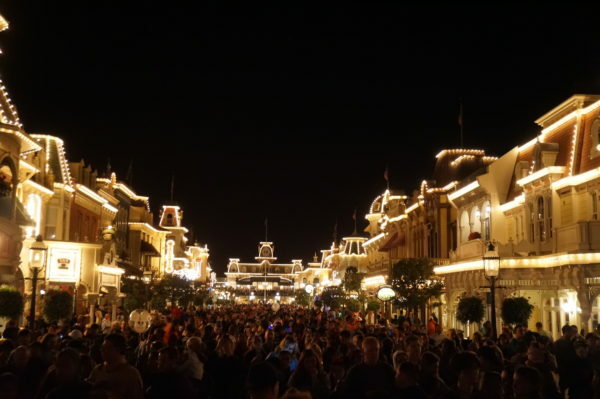 You may only get 12 to 14 hours in the parks, but the crowds will be much smaller, so you’ll be able to get more done in less time and spend less time waiting. Choosing the longest days during Value and Regular seasons will help avoid the largest crowds. 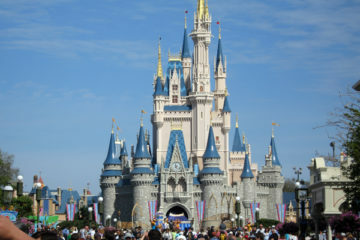 Going to Disney World without a plan is like getting in your car and driving with no destination in mind. You’re not making the best use of your time. Fortunately, especially for those of us to LOVE to plan ahead, Disney allows guests staying at any of the Disney Resort Hotels and Disney Springs Hotels to make FastPass+ reservations 60 days in advance. Doing so allows you to skip the lines for some of the most popular rides, and you can fill in some time slots before you even arrive on property. The group of friends that we’re using as a case study, if you will, created spreadsheets and check lists, made time estimates, and planned their day down to the minute. There are plenty of regular park visitors who do this then insist on sticking to their plan no matter what happens. This is a mistake because unexpected things happen – both good and bad. Florida is known for their pop up thunderstorms that can immediately close certain rides when there’s lightening in the area, rides go down temporarily, and sometimes you just need to stand on solid ground for a minute (thank you, Rock ‘n’ Rollercoaster). You can also get last minute FastPass reservations that force you to move some other scheduled attractions around! Make a plan, book your FastPasses 60 days out, but be willing to change things up if something happens. Don’t forget to check MyDisneyExperience regularly for available FastPasses especially after you’ve used your first three! Then you can book more one at a time until all the slots are filled. Getting the most out of your day in Disney World is more than just staying there for a long time and having a plan. You have to know when to ride! This starts early in the morning. The Main Street Vehicles are open early in the morning before any of the other rides, and they often stop running around 10am. 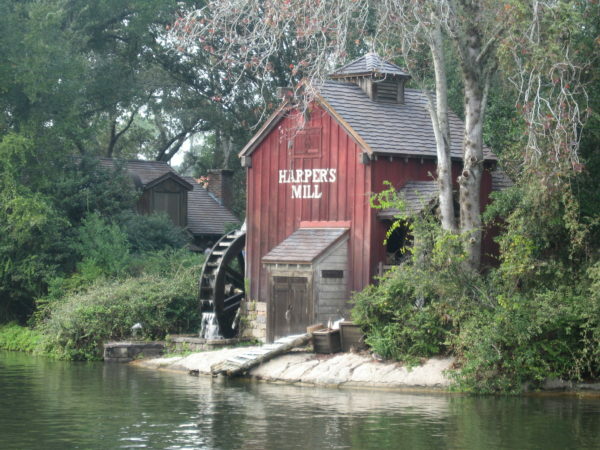 Other rides like Tom Sawyer Island, the Main Street Railroad, Tomorrowland Transit Authority PeopleMover, and The Carousel of Progress also often close early. Some attractions close early. If you plan to ride these attractions, you’ll have to do so before they close or you’re out of luck! When there are Extra Magic Hours, some rides don’t participate. On the day that our new friends were visiting, Splash Mountain and Jungle Cruise closed at park closing not at Extra Magic Hours closing. If you don’t get to these attractions before they close, especially if you don’t have a park hopper so you can come back again, you’ve missed out on the opportunity. Besides park opening, which we’ll talk about in a minute, the best time to ride without a wait is just before and during the fireworks. People stake out a spot well in advance of the fireworks, and even the busiest rides become walk-ons. I personally have used this strategy on Seven Dwarfs Mine Train, and it’s an amazing view! Also, if you get in line right before park closing – even one minute early – you will get to ride no matter how long it takes. Our friends jumped in line for Peter Pan’s Flight at 10:59pm, one minute before park closing, and checked one more ride off of their list. Regardless of whether you’re attempting to ride everything or just have a leisurely day in Disney World, you should be comfortable. The average visitor walks between 10 and 15 miles in one day (our case study group did 17 miles). Comfy shoes are a must! What’s more, don’t go out and buy new shoes and expect that they’ll get you through the day! You want broken in but not worn out sneakers to keep your feet moving even when your brain is feeling weak. The best attire for a day in Disney World is work out gear. Gym shorts, a sweat-wicking shirt, and some kind of a light jacket or hoodie for cooler days – yes, it does get cooler in the morning and evenings and even in show buildings in the summer! Pack light so you don’t have to lug a lot around with you, and layer your clothing. The Points Guy suggests you dress for a cross between a hike and a marathon. 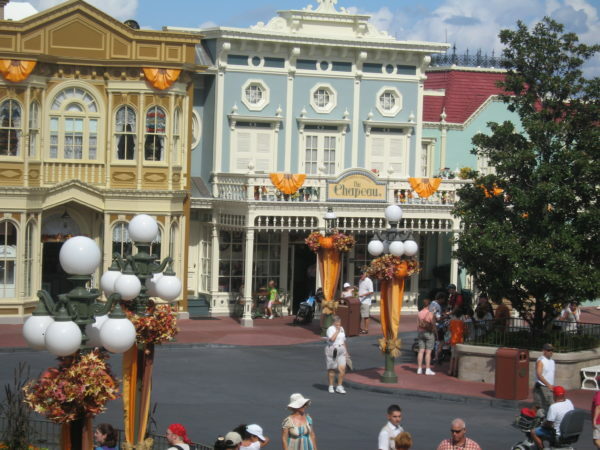 One little known secret that Disney likes to keep is that “Park Opening” isn’t always when the park actually opens. In fact, if enough people are waiting in line, they will sometimes open the park early. Guests with Advanced Dining Reservations and Backstage Tours, both of which were no-nos for these four Disney fans, are admitted more than an hour early. Regular guests can enter shortly thereafter to shop, dine, and take pictures before things get too busy. While nothing is open (except for the Main Street Vehicles mentioned earlier), Main Street is open for business! Main Street is open for business even before any other attractions in the park! The first people to enter the parks can often ride several attractions without a wait. 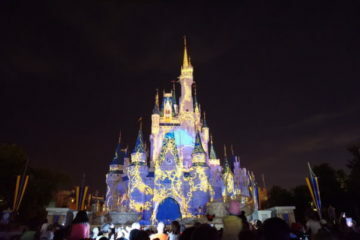 What’s more, if you can take advantage of Extra Magic Hours, whether early or late, you will also enjoy smaller crowds. Being at the park early and having a plan isn’t enough if you can’t keep up a pace. The Points Guy and his friends even sprinted at times. While this isn’t necessary unless you’re really trying to run a race around the parks, dilly-dallying isn’t going to get you anywhere either. You’ll need to move especially quickly at park openings and just before closing time. Head straight to the attraction on your list with the longest wait, and you’ll likely be able to walk on. At the end of the night, make sure you’re in line for something at park closing, and you’ll get to ride! Need I remind you that Disney World is a huge place? You can easily walk in circles trying to find you way around, and many people did before digital FastPasses. Now, you can save a lot of time by making FastPass reservations in advance and knowing your way around. I’m not suggesting that you need to study the park maps like you’re a college senior a month before graduation, but you should at least be familiar with the general location of things so you’re not backtracking and wasting time. Once you get the general layout down, consider looking for some shortcuts. 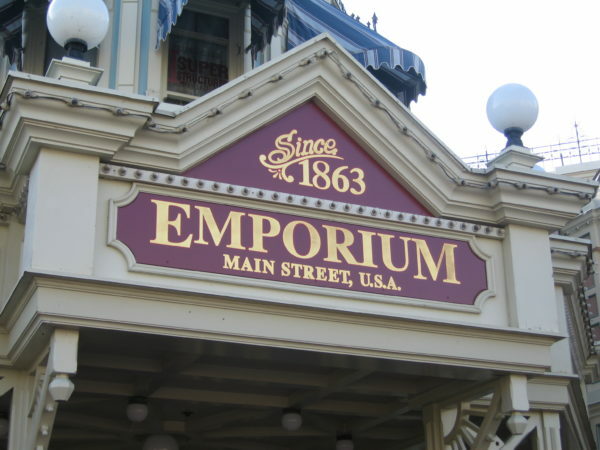 Our friends cut some time off of their day by skipping the crowded walk down Main Street and cutting through the Emporium instead. 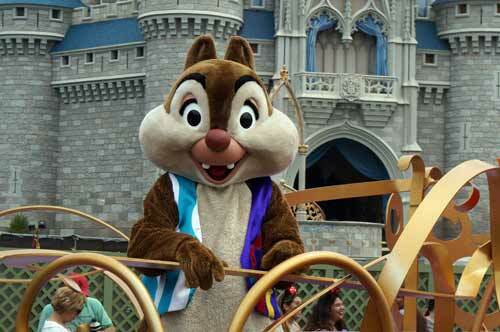 Taking a shortcut through the Emporium can mean that you skip all the crowds on Main Street USA. There are also shortcuts on the rides. The Shrinking Room pre-show in Haunted Mansion is scary to some and even induces a claustrophobic reaction. For this reason, Cast Members will allow you skip this part, which our friends also did to save a few minutes on their day. If you haven’t picked up on this obvious theme yet, wasting time during an attempt to see and do as much as possible is a bad idea. The Points Guy and his friends didn’t wait in line more than five to ten minutes unless it was absolutely necessary. The longest they waited all day was 15 minutes. Wow! While this means that they had to pay close attention to the MyDisneyExperience app and backtrack to ride things when the wait times went down, they did manage to maximize their time in the parks by not spending time waiting in line. Again, this isn’t feasible for everyone, especially families with little kids, it’s a good rule to follow. Perhaps the most important rule to follow when trying to get as much done as possible in a day as possible, if you let yourself get dehydrated and starved, you might not even make it through the day. Remember: Florida weather is often unforgiving. It is hot and humid, and if your body isn’t familiar with this combination, you could easily get sick. Water is free, and you can bring in drinks with you. 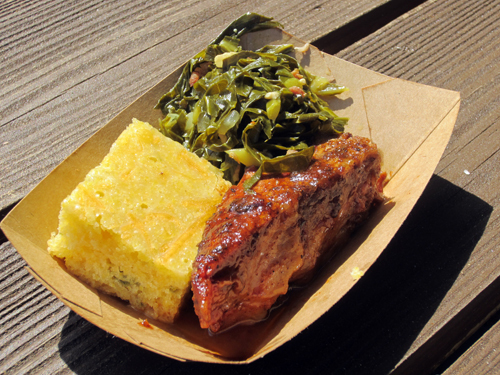 Remember to stop and eat whether you brought your own food or you duck into a counter-service restaurant for a quick bite. How many Disney rides have you ridden in a day?